“In our mission to protect Christian values in Australia The Canberra Declaration has found The Golden Sceptre to be a like-minded and diligent partner in ministry. So much so we have dedicated a special page on our website to The Golden Sceptre. The Golden Sceptre provides an innovative and much appreciated service to many members of The Canberra Declaration community who find it difficult, for one reason or another, to write letters to our political leaders. The letters provided by The Golden Sceptre focus on key current issues that matter to the future of our nation and our children. Letters are provided in a timely way at the strategic moment. “The Golden Sceptre has contributed greatly to my effectiveness as a concerned Christian who is seeking to place my views before key politicians on the moral issues of the day. Rather than having to compose my own letters and emails to the appropriate politicians on the various non-biblical and anti-Christian issues being debated in both state and federal Parliaments, I can rely on The Golden Sceptre to send me a well worded draft email addressed to the politicians of either Upper or Lower Houses, as required. I have the option of editing the draft, which I occasionally do to reflect my personal style, before a simple 'click' sends the emails to one or multiple recipients who receive the email as from my own email address. It is profoundly important that politicians hear the views of Christians in these morally dangerous times and the service of The Golden Sceptre makes the Christian voice heard so much more effectively. Before subscribing to the service I would hardly ever write to a politician for lack of knowledge on who to write to and sometimes because of a lack of understanding of the issues being debated and the consequences of the possible decisions. The Golden Sceptre has ended all that. Dr Mark Harwood, Scientist and Speaker. Creation Ministries International. “The quality service offered by the Golden Sceptre is making a huge difference to the success of our all-important email campaigns in fighting to maintain a Christian voice in the public square. 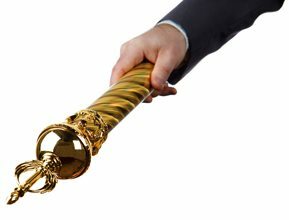 When I have been pressed for time, it has been a great blessing to avail of the Golden Sceptre to convey a message to our elected representatives. Many people would like to participate in such email campaigns but are at a loss where to start. When important issues are at stake every email makes a difference, and we need hundreds of thousands. “I want to highly recommend the Golden Sceptre and thank God that through this crucial service what seemed to be impossible for me to do, now takes less than a minute and is both very easy and so inexpensive. It is vital for us today to have a voice and now through Mansel's excellently written and brilliantly researched petitions to all parliamentary representatives on both vital and crucial issues of our time. I have found them to be written with great clarity, powerfully communicating my own personal convictions. “The Golden Sceptre premium subscription has taken all the hassle out of contacting my local MPs and Senators about matters of concern to me as a committed Christian. Considering the excellent quality of the letters written on my behalf, I find they require zero editing by me, which helps me to have a voice in the political arena even though I have a full time job, part-time study, and a busy church-based social life. Mr J. Hopwood, School Teacher, A.C.T. Fred Bramich, Teacher (retired), Wandin Vic.